Specially developed to offer ideal features for several different classes of filaments for 3D printing, Alloy 910 provides the strength and durability of nylon with low retraction. 450g spool. 39,90 € Tax incl. 33,25 € Tax excl. 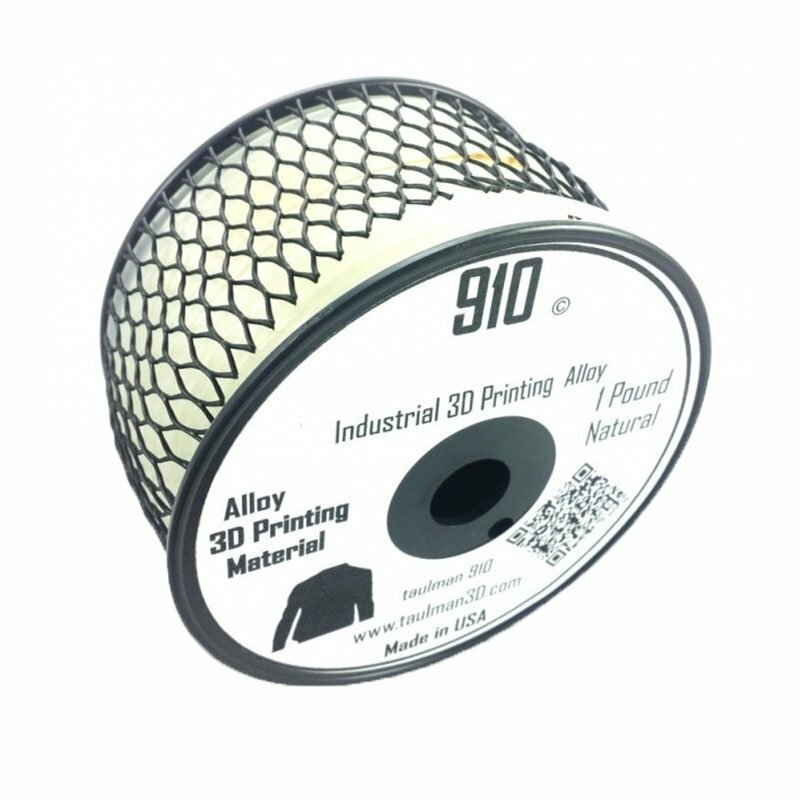 The Alloy 910 3mm filament is one of the strongest materials for 3D printing. With a tensile strength of 8500 psi, this Alloy 910 is nearly as strong as polycarbonate but easier to print because it deforms five times less. Ideal for applications where high strength and rigidity are key. Alloy 910 is perfect for frames or enclosures subject to stress and strong impacts, and articles susceptible to repeated flexing like clasps and fasteners. Like other nylons, Alloy 910 offers a wide range of chemical resistance and can even be dyed.